This isn’t particularly surprising. Beset by excruciatingly slow-healing injuries the past two seasons, Ethier has reached base only 28 times in the past 28 months: 13 for 58 with six walks and three homers (.711 OPS) in the 2016-17 regular season, plus a more impressive 6 for 19 with three walks and two homers (1.041 OPS) in the playoffs. 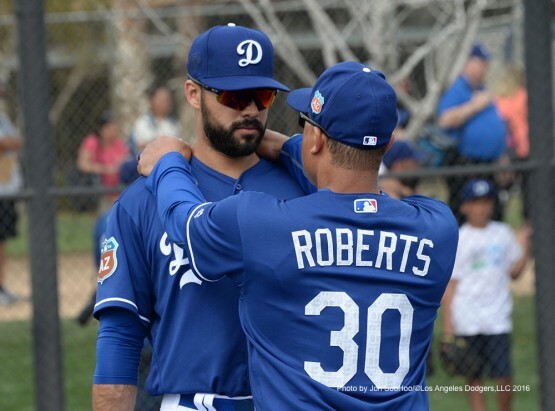 And so, yes, we offer the requisite “no one will shed any tears” for Ethier, who has enjoyed an MLB career better than most while earning more than $100 million. He has a lovely family. He turns 36 in April — not exactly old, but not exactly his athletic peak either. Even minus the two short-circuited years, he has had the good run that even most of his peers only dream of. Should Ethier to retire before playing another game — forced or not — he would have a unique claim to fame. No other player has ever hit more home runs than Ethier (162) while wearing only the uniform of the Los Angeles Dodgers and no other team. Though he was drafted by Oakland, there is a kind of purity to Ethier’s Dodgers-only big-league existence that is rare these days. And certainly, even in a loss, it’s hard to pick a better spot for your final hit than Game 7 of the World Series. But that’s trivia. When it counts, you never want to be shut out of your next job when you still think you have something left to give. As a writer, I can relate to this fear. It’s possible that there isn’t a place for Ethier left in major-league baseball, even as a left-handed bat off the bench. It’s possible that he just won’t have the last chance that, say, Adrián González is getting with the Mets. Baseball is a marketplace, Ethier is a product, and either he can be sold or he can’t. But if it’s already over for Ethier, it wouldn’t feel right to me. I want to see him go out swinging.